Soaring ceilings, tall windows streaming light and elegant historic details set this newly remodeled studio apartment for rent in Portland, Maine. From the leaded glass window in the kitchen to the soaring crown moldings throughout, this is in town studio is an elegant escape just a few minutes from the Arts District and West End. The galley kitchen fits an electric stove, refrigerator and microwave alongside natural wood cabinetry and a sunny bar. The combined living and sleeping space is framed by the mission-style bed in its bright alcove. A wall-mounted plasma TV and Bose Stereo® provide in-home entertainment, while Wi-Fi connects you to the world at large. 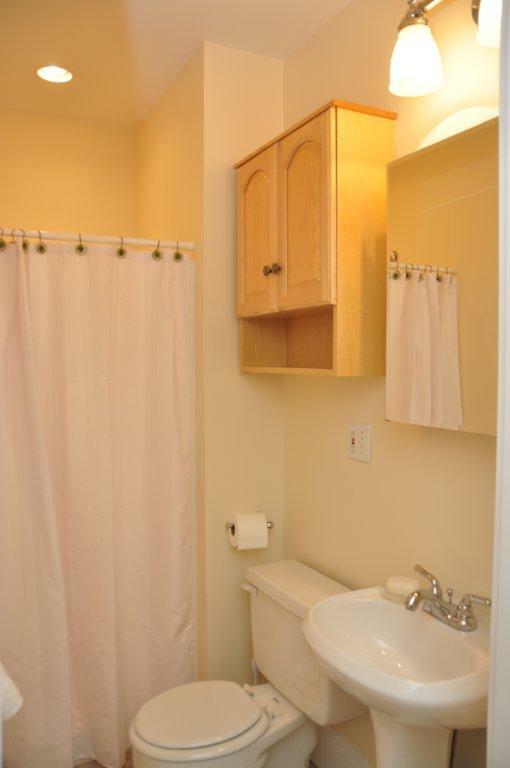 The bathroom offers a roomy shower and sink. Warm wood accents, classic lighting and touches of topiary and art make this studio sparkle.